Please join us for the summer’s first TASM theatrical performance! 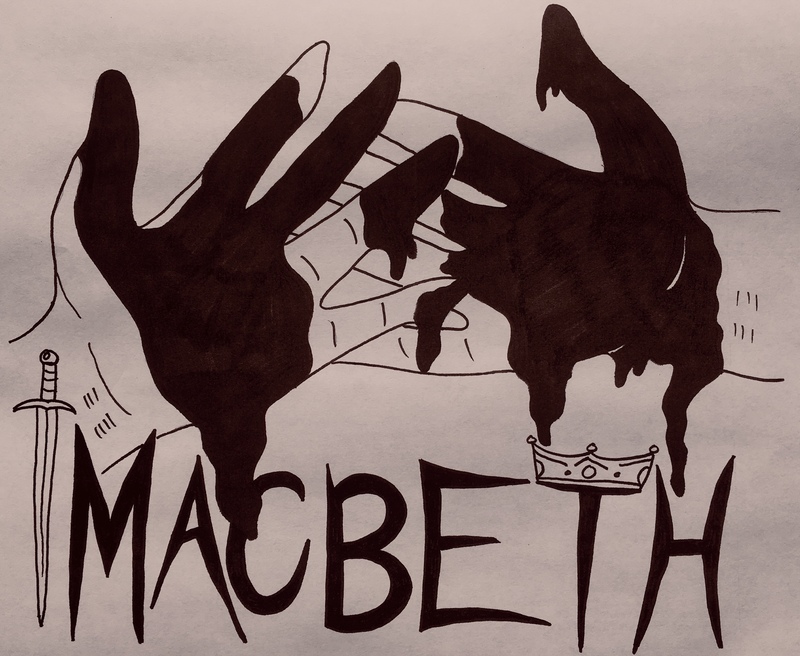 Theatre at St. Michael’s is proud to present William Shakespeare’s spellbinding tragedy “Macbeth” on Friday, July 13th and Saturday, July 14th at 7:00. This classic play is the infamous chronicle of a Scottish hero’s fall from grace, through spellbound seduction and the unrestrained pursuit of power. Shakespeare’s study of ambition leads us from the battlefield where Macbeth is triumphant, to the bloody assassination that gains him the crown… but which costs him his soul and ultimate demise. This performance will feature actors ages 13 – 18, who have been intensively studying the play in a two-week program under the direction of TASM Camp Director Christina Johnston. Assistant direction is by Chelsea Boergesson, design is by Laurel Paquin, and combat choreography is by Norm Beauregard. 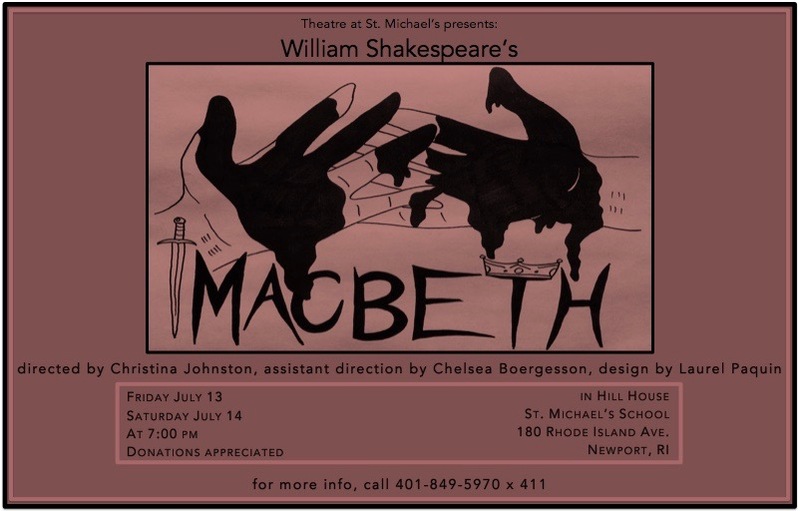 Actors include Kamran Bina as the ambitious and doomed Macbeth, Eliza Staples as a scheming and fraught Lady Macbeth, Ally Grant as the distressed but virtuous MacDuff, and Nastia Goddard, Madison Palmieri, and Julia Alves as the prophetic and foreboding witches. The cast is rounded out by Ali and Bridget Vanderveer, Genevieve Masson, Kasey Regan, Makenzie Lyons, Manny Maldonado, Roan Iribarren, Samantha Brower and Vika Huth. AJ Huth is working with the camp staff to design and build the show. The performance is free and open to the public, in the St. Michael’s School Hill House Arts and Athletic Center at 180 Rhode Island Ave in Newport. Donations are welcome at the door. For more information, please contact TASM camp director Christina Johnston at cjohnston@smcds.org. Additional TASM performances this summer will include an original musical to be performed on July 27th and 28th, as well as Shakespeare’s “The Winter’s Tale” on August 10th and 11th.